In a recent survey of more than 2,000 US adults, Statista found that 28.5% of people surveyed had booked a ride-sharing service within the past year. As this chart by Statisa shows, this was slightly above the 20% of people who said they’d used a traditional taxi service within the past 12 months. 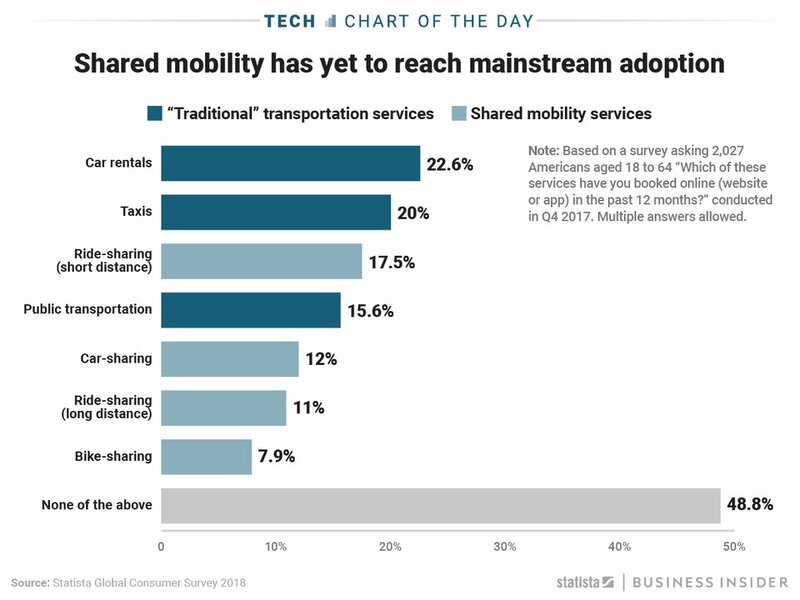 But perhaps most surprisingly, of all the shared-transport options available — including public transportation and bike-sharing — nearly 50% of people said they hadn’t used any type of shared mobility service within the past year at all.